The Football Coaches Association of Ireland is bringing Club Brugge Academy Manager, Henk Mariman to University College Dublin Sports Campus, Donnybrook, Dublin 4 on Wednesday 2nd December to give local coaches an insight into European coaching methods. Club Brugge was founded in 1891 and is one of Belgiums most successful clubs. The Club has won the Belgium First Division on 13 occasions and the Belgium Cup 10 times. Club Brugge is still the only Belgium side ever to reach a European Cup final. They were narrowly beaten in 1978 by Liverpool FC. Club Brugge has since established itself as Champions League regulars and are currently top of the Belgium First Division ahead of rivals Anderlecht. 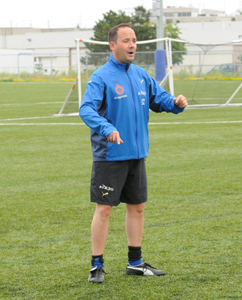 Henk Mariman, a UEFA A Licence coach, has been an academy manager for the past 5 years, and has been coaching since 1994. As the author of the outstanding coaching book, The Soccer Method, Henk also writes for a Belgian coaching magazine, De Voetbaltrainer. During his extended soccer coaching career Henk has worked at many football clubs, including Ajax in Amsterdam. 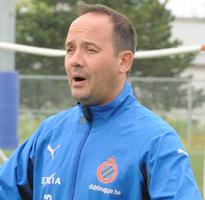 He has coached at soccer camps in Canada and the United States of America, as well as organising regular coaching seminars throughout Belgium and Holland. Henk commented, For years I tried to develop a complete method, named the soccer method. In general there are two way of thoughts in football: a more technical approach, like the Coerver method and the more game related approach, like the Dutch federation method. I believe that we need both ways to develop the individuals. I combined the two approaches in one method."